I still have my first record purchase, from 1986: Run-D.M.C.’s “You Be Illin’ ” single on 12-inch vinyl. My local record store is where I discovered Edie Brickell & New Bohemians’ “What I Am” single on cassette. I recall pedaling as fast as I could on my bike to pick up my special order the day it finally arrived in the summer of 1988, and tearing open the plastic to glimpse inside before heading home to lie on my bedroom floor and take in that first listen. Thankfully, we aren’t left with only memories of the good ol’ indie record stores. Record shops are still alive in across America. And Record Store Day reminds us why they still matter. Several of our own Salt Lake City record shops will be taking part in the worldwide celebration—which takes place every third Saturday in April— with live music, art displays, door prizes and as many exclusive releases and limited runs as they could get their hands on. Most have ordered as many as possible, but there are no guarantees, and quantities are limited. So don’t walk, run! 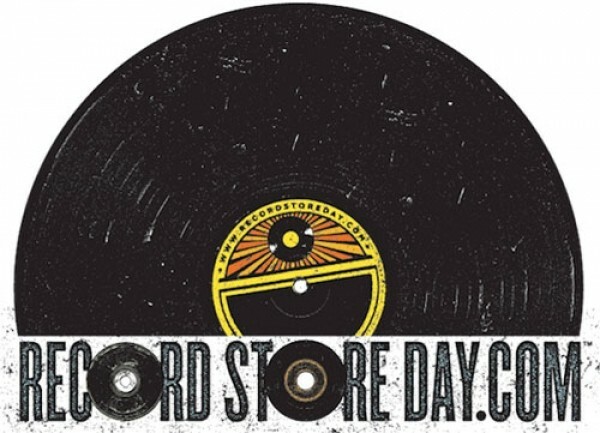 To see all that’s available, check out RecordStoreDay.com. All Graywhale locations will open at 8 a.m. with door prizes for the first 30 people in line at each store. Exclusive $8 RSD T-shirts designed by local artist Robin Banks will be available, as well as other exclusive treasures. Special events featuring live music will be held at the University of Utah and Ogden locations. Several exclusive RSD releases will be available at this shop, including various LPs from Bathory (picture disks) and Psychic TV (red vinyls), Yob’s Catharsis LP, and a special split 12-inch from Full of Hell and Psywarfare. RSD T-shirts will be on sale for $6.66, and shoppers will get a free RSD wristband with any vinyl-record purchase. Salt Lake City’s newest record shop will feature all-day live music from 2 to 11 p.m, featuring these local bands and possibly more: Beach Men, Creature Double Feature, Callow, Fossil Arms, Tavaputs, Chalk, Jawwzz, Koala Temple, Swamp Ravens and Foster Body. Food trucks will be onsite so nobody goes hungry, along with a raffle and pop (bottle caps) tournament for entertainment. Sales changing every hour throughout the day will feature discounts on different items. Lots of records from the exclusive RSD list will be available, and balloons and Heavy Metal Shop temporary tattoos will be handed out. Amigo the Devil will be putting on a free show at 5 p.m.
Randy’s will open at 10 a.m. with door prizes, like full-length LPs, for the first 50 people in line. All the exclusive titles have been ordered, including a reissue of Velvet Underground’s Loaded, which has been off the market for years. Randy’s will also have lots of 7-inch splits featuring original songs with a cover by a newer artist on the other side, like The Cure/Dinosaur Jr. cover.